With all the weeding, fertilizing, and mowing most of us do, it's easy to understand why some homeowners don't want to leave their lawn and garden to the dogs (literally!). 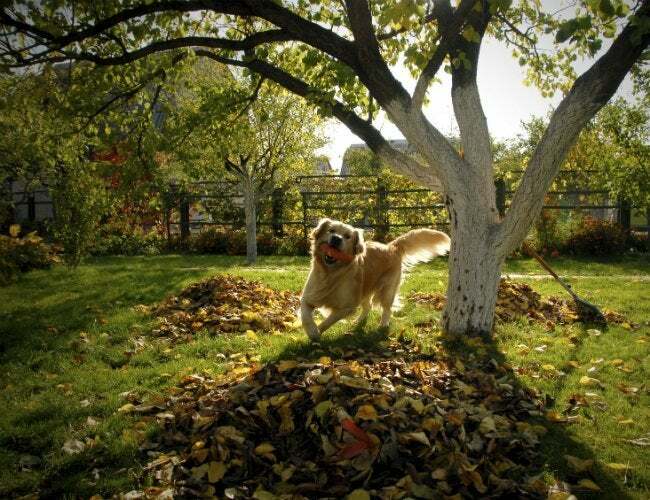 But with a few tweaks, your pets and yard can live in perfect harmony. Cats and dogs need just as much time outside as people do, but designing a safe space for pets and protecting your landscape is trickier than it looks. Start with the basics, and keep them corralled with a good fence. Wood, metal, and vinyl will all work, as long as the construction is solid. If you have a cat, top your fence with a roller bar attachment. For a dog that loves getting their paws dirty, try buying or building a sandpit so they can burrow away from the garden. And when it comes to safety, every owner can help prevent scuffles with wildlife by keeping pets inside during prime feeding times: dawn, dusk, and overnight. When it’s time to pick out plants, opt for hardier varieties with soft foliage, like Artemisia or lilacs. Avoid foxglove, lily-of-the-valley, mums, lilies, and cocoa mulch, all of which can be toxic to pets. If you’re planning to add on to your garden, think about the paths you’re creating for prowling and patrolling—and remember to leave a shady spot free for napping between adventures. Consider installing a small circulating fountain too, so your pet will always have access to fresh water.